Confession: I hadn't made risotto in years because I had fallen into the fallacy of the risotto myths. Last week I made some risotto for the first time and kicked myself for allowing so much time to pass since I had made it. This Spring Risotto recipe is hearty enough to serve as a stand-alone meal, or perfect for an accompaniment to a simple baked or grilled fish, chicken, vegetables or meat. It was a big hit with SPH, G and I...R oddly wasn't that into it, but he is going through his pickiest phase yet. So we'll see...now that I have this recipe up my sleeve, I'll be trying it again soon. In a large sauce pan over medium high heat, heat the olive oil and add the onion and artichoke hearts. Saute for 3-4 minutes or until the onions begin to become translucent. Add the arborio rice and stir well, to coat the rice well with the olive oil. Add the white wine. Stir and in about 1-2 minutes, add one cup of the broth. Stir occasionally until the broth has been absorbed by the rice, which takes about 3-4 minutes. Keep adding broth in 1/2-1 cup increments until the rice is cooked (taste it if you are not sure!). When the rice is cooked, add the salt, pepper, milk, cheese and peas. Stir well. Serve. Hmmm...think it looks a little plain? Click here for the recipe of what we served on top of this lovely risotto. Looks delicious! I love rissoto so I'm very excited to make this. Thanks for posting! Looks yummy! I'll definitely have to check this out...I'm trying to expand my carb-y side repitoire. The fish looks delish. Again...trying to expand my fish dishes, so I'll put that in the hopper, too! I also love risotto and I never really thought it was too much work but I know that is the misconception. 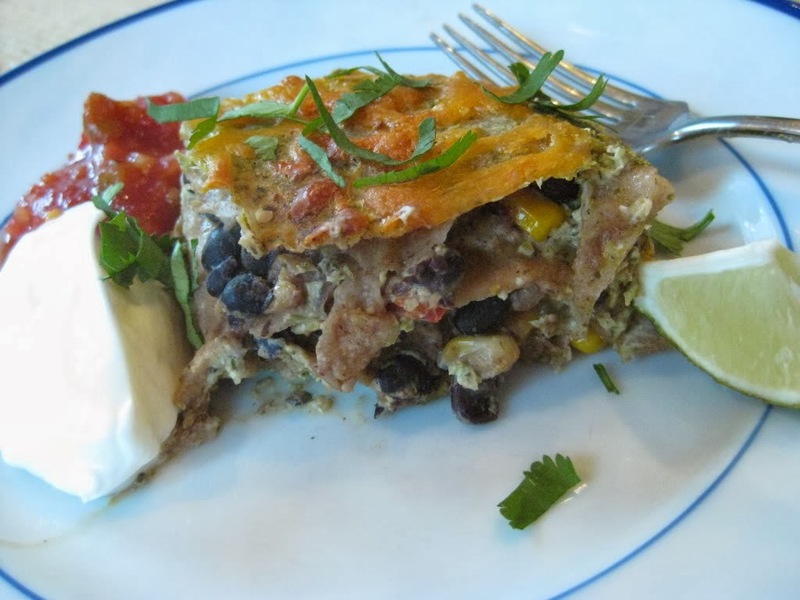 I have a great recipe that contains spinach and I love and the girls somewhat like it. I have not made it forever so maybe I should break that recipe out a little. I love your view! The recipe looks fabulous! mmm that looks nice. 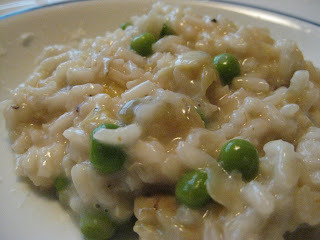 I will try it, I never make risotto becasue I have a very picky child, but maybe he will like this. That sounds yummy! I may have to try it this week. Thanks for the recipe!